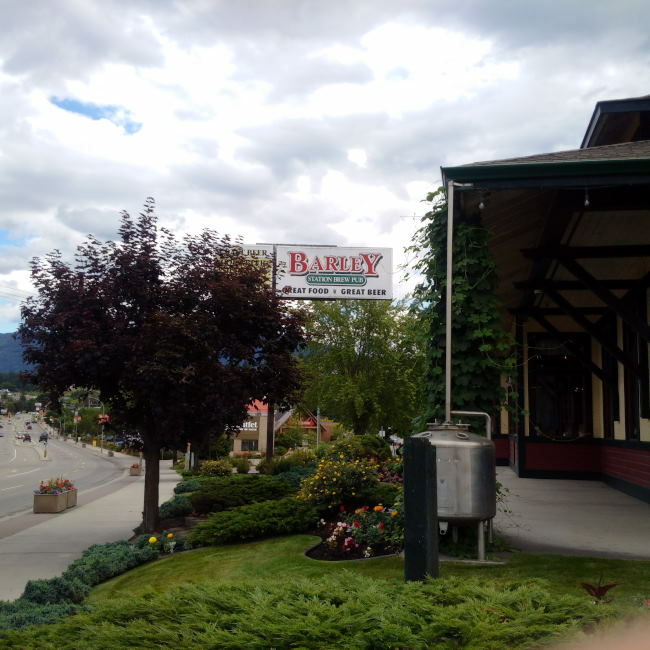 On my way to the East Kootenays on a recent tour I stumbled upon the Barley Station Brew Pub. Neither knowing really where we were or remembering there was a brewery in the area we stopped for gas. As it turned out we were in Salmon Arm and across the street was the Barley Station Brew Pub. As the car was being filled with gas I ran across the street to buy some beer and take a peak. There is a small but nice looking pub behind the doors that has a smaller town charm. They had a pretty good selection of different brews on tap with a core lineup and some seasonals. Sadly they only sold their core lineup to go in either 6 packs of one style of beer mixed 6 packs or growler fills. You have to stay in to try their seasonals and we were less than half way on a 10 hour plus drive. While my growler was being filled with pale ale I took a peak through the windows at their cute little brew pub system. The walls of the brewery have windows all the way around so you can see the brewing process or just snoop to see what it looks like. The system is on the small side but it seems to get the job done and that is all that matters really. 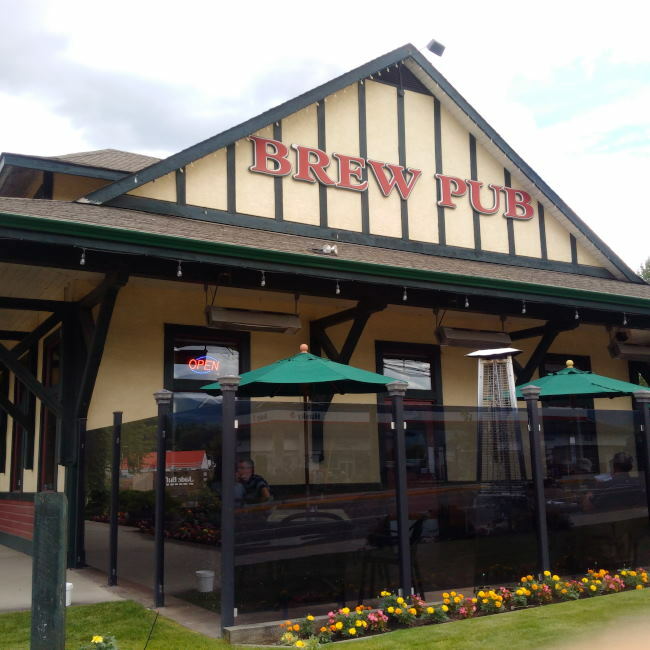 If you find yourself passing through Salmon Arm then you really should stop in for a pint a bite and some beer to take with you! This entry was posted in Brewery and tagged barley station brew pub, bc, brew pub, brewery, british columbia, canada, craft beer, salmon arm, shuswap, thompson okanagan.